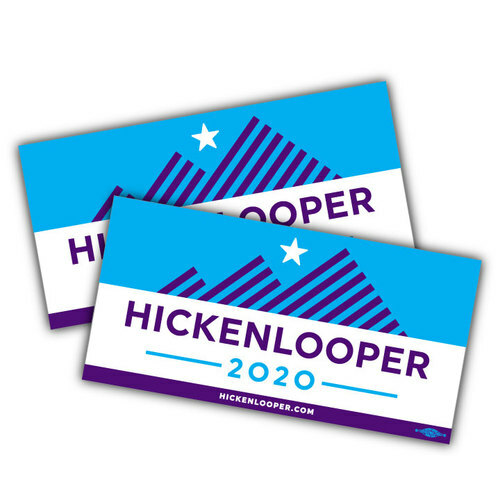 The first of the non red white and blue campaign yard sign logo design I have seen for 2020 is Hickenlooper, the former Governor of Colorado. His design is very Colorado with mountains in blue and purple. Those campaign yard signs will stand out from the others for sure.